The Walking Dead Actors To Feature In 14 Movies This Year! The Walking Dead, one of the most acclaimed TV series, is now back with its eighth season. As per the latest entertainment news, the show’s cast will be seen in various projects this year. According to Comicbook.com, the actors of The Walking Dead has a number of movies coming out in 2018. The latest entertainment news has reported that actors including Danai Gurira, Lauren Cohan, Jon Bernthal, Seth Gilliam and many others will be seen in a total of 14 movies this year. The Walking Dead’s Jeffrey Dean Morgan will be seen in a supporting role in Dwayne Johnson’s Rampage. According to WhatCulture, the actor will “play Agent Russell, who works for a covert government division called OGA and rolls with serious swagger and attitude”. Rampage will release on 20 April 2018. Steven Yeun will be seen playing Tony Chu in Chew. He plays “a detective with a weird superpower which gives him psychic impressions from anything he eats”. The film’s release date is not yet confirmed. The Walking Dead actress Lauren Cohan is starring in Mile 22, which also features Mark Wahlberg in the leads. Nothing much has been revealed about her character yet, but it is believed that Cohan will play a major role in the film. Black Panther that is all set to release next month, will see Danai Gurira in the lead. 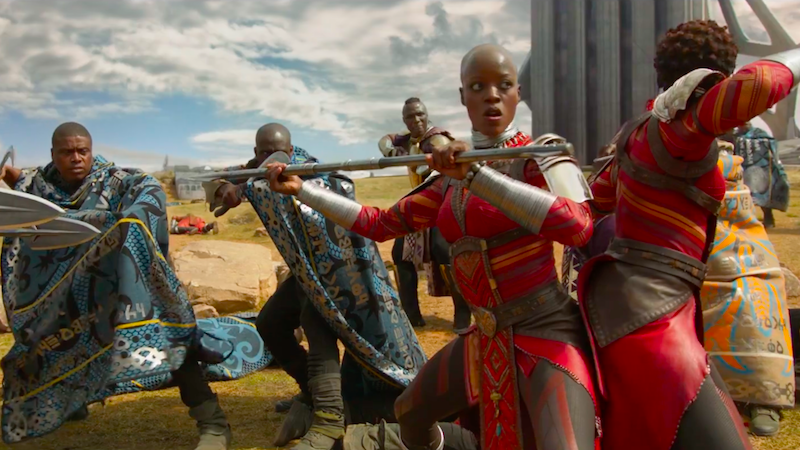 She plays the role of Okoye, the proud Wakandan leader of the king’s personal guard. Seth Gilliam will be featuring in Silver Lake. There are no details about the release date yet. The film also stars Fred Melamed, Alex Boling, and Bailey Chase. Actor Michael Cudlitz will be playing the role of Morgan Hetrick in the new project. The movie is “an intense thriller where politics, big business, and narcotics collide”. Actress Laurie Holden has kept a very low profile ever since The Walking Dead. However, the actress will be soon seen in Dragged Across Concrete, directed by S. Craig Zeller. Holden will play an ex-cop, who is also the wife of Gibson’s character. Actor Jon Bernthal has recently joined the cast of his upcoming film First Man, which is all set to release on 12 October 2018. Directed by Damien Chazelle, the movie is a biopic of the astronaut Neil Armstrong. Lawrence Gilliard Jr will be seen as Earl Higgins in the film Hot Air. It also stars Neve Campbell, Pico Alexander, Skylar Astin and others. 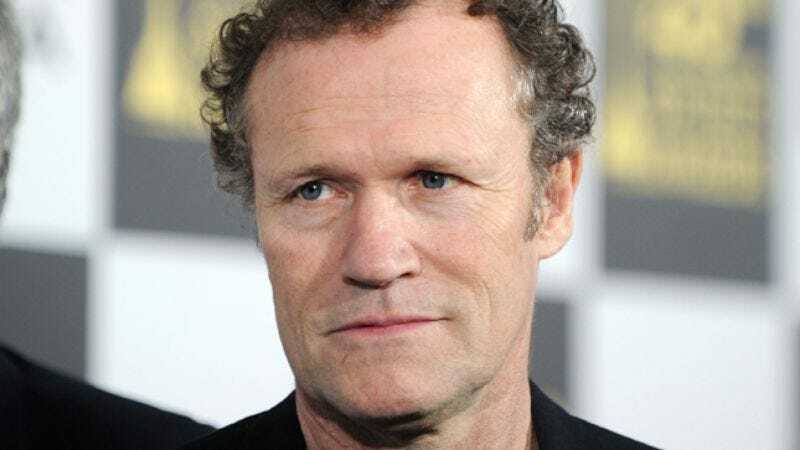 Michael Rooker will be back in Bolden as Pat McMurphy. The movie releases this year and also stars Breon Pugh, Ian McShane, and others. The Iron Orchard will see actor Austin Nichols playing a very pivotal character. Nichols as Dent Paxton will play the role of a flamboyant businessman in the film. Khary Payton is all set to feature in the 2018 satire Loners. The film is directed by Eryc Tramonn. It also stars Tyson Turrou, David Christian Welborn, and Brian Letscher. Steven Yeun is busy with his upcoming film Sorry to Bother You that will be releasing this year. Nothing much has been revealed about Yeun’s character yet. Yeun will be starring alongside Tessa Thompson, Lakeith Stanfield, and others. Actor Jason Douglas will be seen in the controversial film Trial By Fire. Although there’s nothing much known about Jason’s character, the film will be based on Cameron Todd Willingham, “a man who was sentenced to death for murder”.